Students will be dismissed at 12:10 p.m. on Wednesday, December 5 for a Professional Day. With the weather changing we are asking you to listen closely to our local radio stations or check the Garrett County Board of Education website. Please be cautious as the weather changes. We don’t want any child left out in the cold. Please remind your child to dress warm for outside recess and for waiting on the bus. The snow is starting to fall and we want them to be safe and warm. Broad Ford School will hold their Christmas concert on December 20, 2018 at 7:00 in the cafeteria. We hope that you will join us that evening! classroom Christmas parties are scheduled with the dates and times. Grades Pre-k through 2ndwill be held on December 19, 2018 from 2:30-3:00. Grades 3-5 will be held on December 20, 2018 from 2:30-3:00. Please check your child’s classroom newsletters for more details. TheLost and Found box and coat rack in the cafeteria at Broad Ford are full-to-overflowing. If you and/or your child are missing any items, particularly clothing, please stop by the cafeteria to check it out. Any items not claimed will be donated to a local charity. Thank you! There will be a 12:10 dismissal for students on Thursday, October 11, 2018 for Staff Development. We want to thank everyone for your support and help with the Krispy Kreme donut sales. The donuts will be delivered on October 10th. Please be sure if you placed an order to pick it up from 2:00 p.m.-5:00 p.m. on October 10th. There will be NO SCHOOL on Friday, October 12, 2018 for the Autumn Glory Festival. We hope that everyone has a wonderful long week-end! State and Federal laws require that the Garrett County Board of Education provide free and appropriate education programs for all children with disabilities living in Garrett County. Services which can be provided by the Board of Education include evaluation and direct services in speech and language therapy, physical therapy, occupational therapy, developmental skills for preschools and academic help for children of school age. These services are provided through the Special Education programs to all students who qualify. Parents, please report to your child’s room at the designated time listed above. 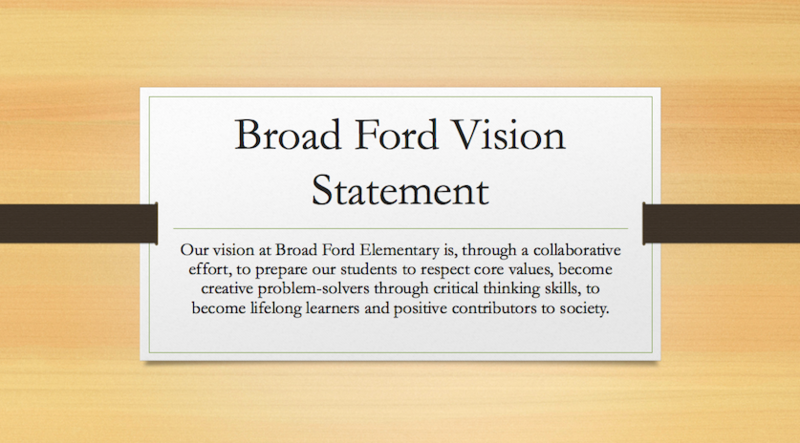 If you have more than one student at Broad Ford you will be able to see each teacher. Third grade students at Broad Ford Elementary School recently completed Wax Museum Projects. .
Broad Ford Elementary School's Wellness Team completed a wellness activity for March. 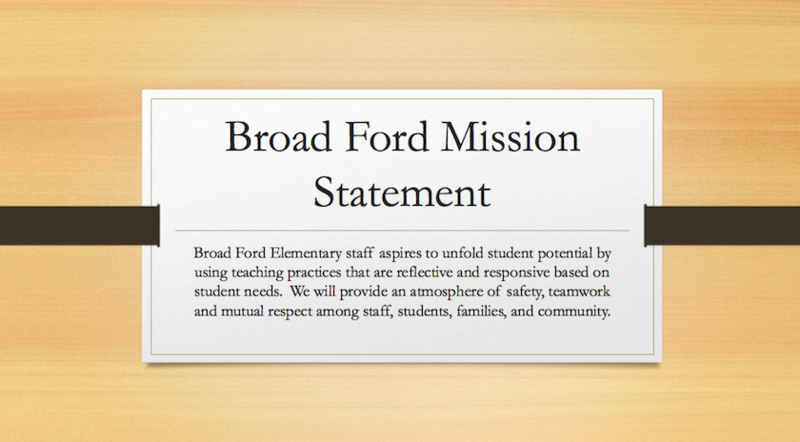 Broad Ford Elementary School's Wellness team just completed it's most recent wellness activity school wide.